Boutiq brings to you, “The Boutiq Weekender” Series - how to spend 48 hours in chosen Boutiq destinations. 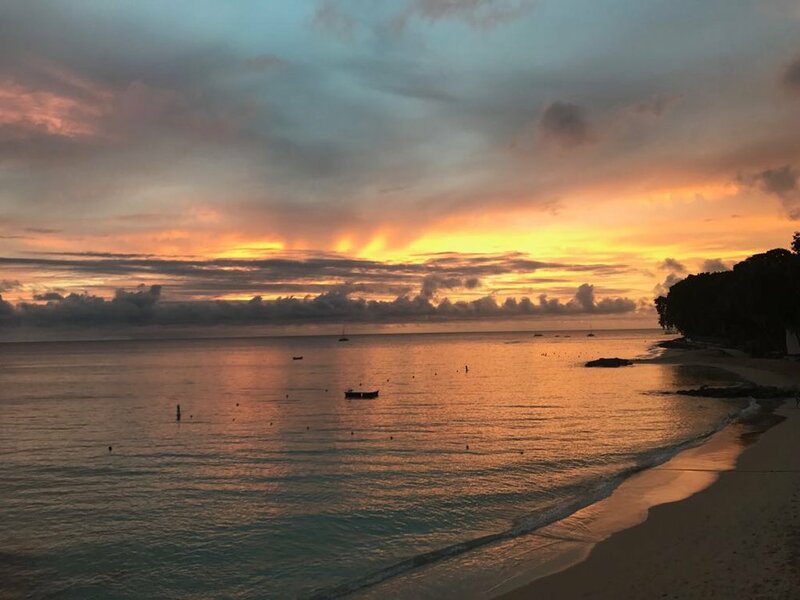 To kick off the series, we have the ultimate 48 hours in Barbados, according to Boutiq user Julia Shuker. For me, the first thing I want to do when I land in Barbados is jump in the crystal clear, turquoise water and go for a snorkel. I’d head straight to Saint James bay and go see some of the amazing coral reefs there. I’d highly recommend getting a speed boat tour from the Sandpiper water sports team up the platinum coast, you can take a look at some of the crazy nice villas along the shoreline and just soak in the natural beauty of it all. Plus, you can work up a killer tan on the boat! Grab a Banks beer for the ride, its delicious. After a day on the water, i’d head straight to the Lone Star for sunset drinks on their deck. The setting is incredible, you can watch the locals play a game of football on the beach as the sun goes down. As my favourite restaurant in the whole world, i’d always have dinner here too. The food is amazing and the staff are lovely. I’d always go for either the ‘catch of the day, blackened’ or the ‘barracuda’. Post dinner, i’d head back to the Sandpiper hotel, where my family always stays, for a strawberry daiquiri at Harold’s Bar. 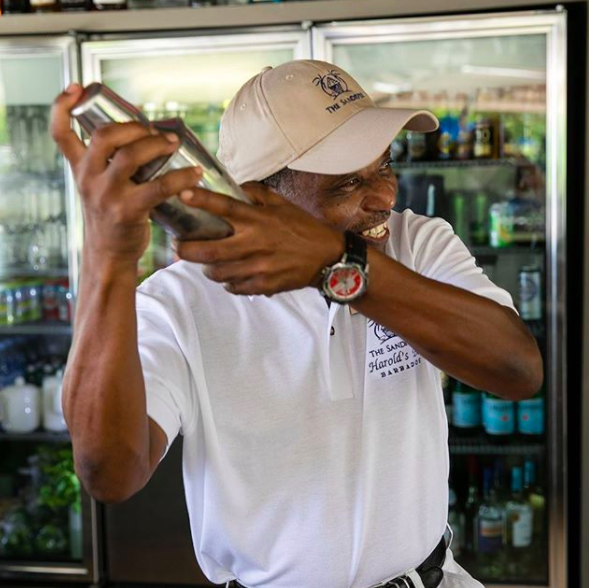 Harold is a legend on the island, and make a mean cocktail. For a bit of a culture hit, i’d head down to Speightstown and wander round the Gallery of Caribbean Art, on Queens Street. Some of the local artists are incredibly talented and the gallery is always filled with spectacular pieces. To keep up the artistic momentum, i’d go for pre-dinner cocktails at Tides restaurant. This restaurant is also an art gallery, and you can sip a cocktail in their beautiful bar surrounded by some really excellent pieces. Although there are so many restaurants to choose from, I think i’d have to go with the Fishpot. They have some of the best grilled tiger prawns you will ever taste! It is an awesome spot for dinner, as the restaurant is located in a 17th Century Fort (Fort Rupert) and it is right on the beach so you get great views as you dine. My last activity is only possible on a Sunday night, I’d head to Ragamuffins in Holetown for the 9pm show. Every Sunday, Ragamuffin’s hosts a drag show, with three amazing drag queens who will have you laughing and dancing all night. You can enjoy the entertainment, in this very relaxed setting, with dishes like flying fish and “loaded potato skins” if you haven’t eaten already. It is a very laid back affair, but guaranteed to be a laugh. Like Julia, you can also remember your best food and travel places on Boutiq- the App turning your unforgettable discoveries into everlasting recommendations between friends.